Allan Leverone is the New York Times and USA Today bestselling author of eleven novels, including MR. MIDNIGHT, named by Suspense Magazine as one the "Best Books of 2013." Allan Leverone is a 2012 Derringer Award winner for excellence in short mystery fiction, as well as a 2011 Pushcart Prize nominee. 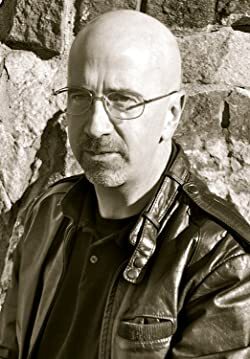 His short fiction has been featured in Needle: A Magazine of Noir, Shotgun Honey, A Twist of Noir, Shroud Magazine, Morpheus Tales, Mysterical-e and many other print and online magazines, as well as numerous anthologies. He lives in New Hampshire with his wife Sue, three children, and one beautiful granddaughter. Please enter your email address and click the Follow button to follow Allan Leverone!